Borrowing from the amazing Window To The Magic podcast, the idea is simple. 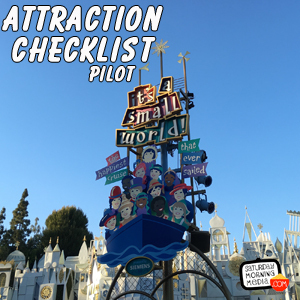 I pick one Disney Park attraction per episode, record the audio as I ride or experience it and then review the attraction afterwards. This first episode features a ride on Disneyland’s It’s A Small World and along for the ride is my friend Dave Marquez.